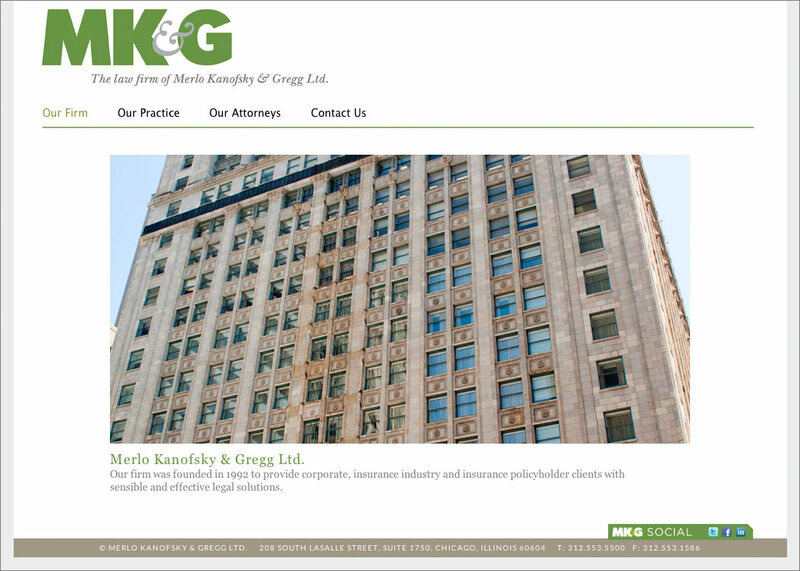 The Law Firm of Merlo Kanofsky & Gregg contacted us in the spring of 2012 to let us know they were happy with the last website we designed for them over 10 years ago. The partners in the firm had since changed and it was time to update their website as part of a complete rebrand. Sparkfactor was delighted as always to work with one of the premier firms representing the legal needs of the insurance and aviation industries. The solution we found for their new look kept the focus on what makes them stand out from their competitors – who they are, what they do, and how they work. To help show their expertise, strength of their team, and unique approach to working with their clients, Sparkfactor created photo guidelines and shot portraits of their entire legal staff. The result is a clean, unified, responsive experience on the web that translates through to print collateral and social media channels.